For up to eight-fold antioxidant protection, ninety-six percent reduction of sunburn cells, and prevention of the formation of free radicals in sun exposed skin. Fades sun spots and discoloration, refines skin texture and reduces wrinkle formation as well as minimizing existing wrinkles. Suspended in a concentrated base of pure vegan hyaluronic acid to plump skin cells and protect and restore. 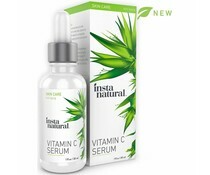 This serum is a concentrated delivery system for the highest form of active, bio-available Vitamin C for beautiful skin. 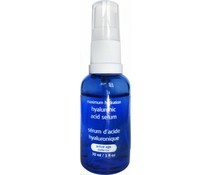 This serum is thinner than our other serum products and it can vary from amber to cloudy in color. Directions for Use: Serums are delivery systems for ingredients. Wash and pat skin dry. If you are going to use a toner, apply the toner before the serum. Apply a small amount to entire face, neck and decollete. Allow to dry. Can be used daily; can be used under make up. Follow with any of our moisturizers.